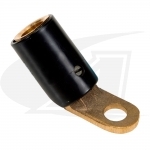 Heavy-duty Lenco brand connectors are easy to use and reasonably priced. 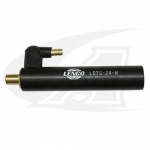 To hook-up a TIG torch to your welding machine, you need to know your torch and machine connection size, and style. 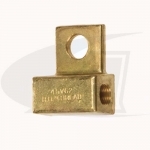 Consult your welding machine manual to confirm the connector types. 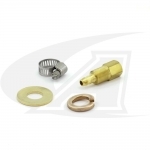 If you need help contact our Customer Care Team. 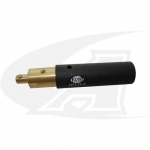 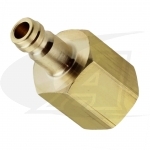 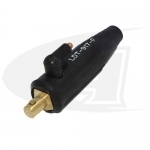 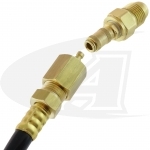 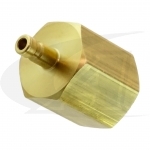 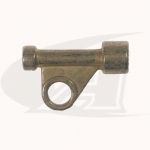 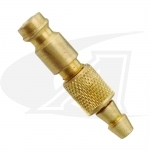 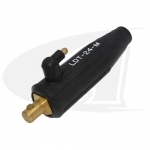 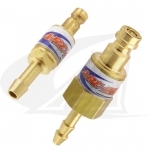 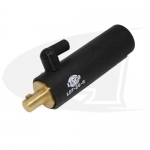 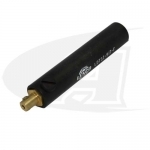 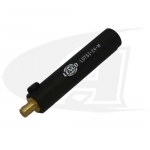 Threaded Stud: Male threaded studs require a brass Power Block sized for your torch cable. 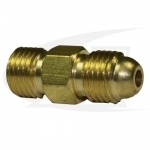 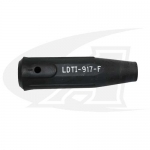 Dinse Plug: Large Dinse 1/2” (13mm) or Small, 5/16” (8.0mm) diameter. 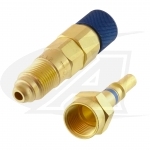 Male plugs sized for your torch cable and machine type. 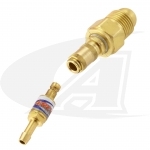 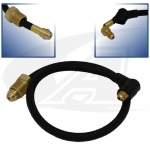 Gas-Thru Dinse Plug: Large, or Small connector with gas-thru hole (eliminating secondary gas hose). 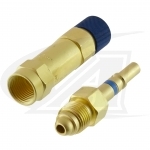 Male plugs sized for your torch cable and machine type.